It is a fact that homes will settle over the years. This is perfectly normal and nothing to worry about. 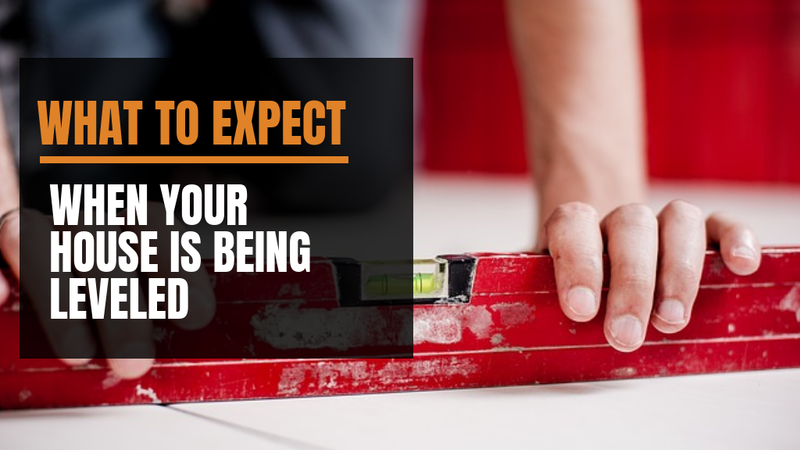 However, knowing when to call in a foundation repair expert will help alleviate unnecessary anxiety and worry. Let's discuss some of the signs that will determine whether you have normal settling or need a foundation repair. 1. Foundation cracks; wall and floor cracks. It is normal to have cracks in your walls that happen 2-3 years after the home has been built. This is called settling and it happens when the ground starts shifting under your foundation. So how do we determine if the cracks you're seeing in the walls warrant a foundation repair? 1/16 inch cracks are quite common when a home starts to settle. These hairline cracks should be vertical and they should be between 2 - 6 inches in length. Having horizontal cracks of any size will indicate that you have more than the normal settling. Having horizontal cracks or vertical cracks that are larger than a 1/16 inch is an indication that you should call in an expert to see if your home needs a foundation repair. When looking at the outside of your home you may notice that one side appears higher than the other. You can also have a home that is buckling in the middle. Maybe when you look at your front porch it seems to be sinking in the middle. This is a sign of foundation issues that should be checked out by a structural engineer to see if a foundation repair is needed. Your house may need to be lifted up and have interior or exterior foundation repair piers installed in order to fix the issue. A foundation disturbance is the complete opposite of a sinking foundation. A slab foundation can move quite a lot over time. 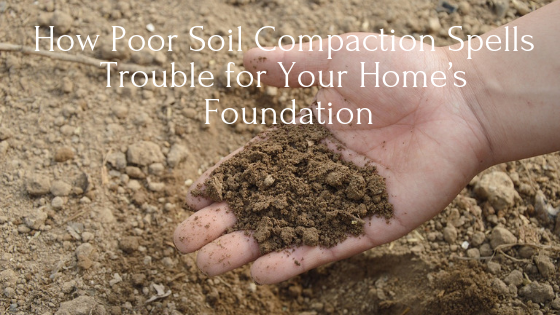 This can cause upheaval of your foundation and affect the inside of your home as well as the perimeter. A foundation repair is probably in your future if you have a foundation with the following issues: You may see floors that are buckling in your hallway, or you may also see cracks in your tile or a disturbance in your wood floors. The most common cause of having upheaval of your foundation is moisture. Some causes would be leaking plumbing, insufficient drainage or frost heave. 4. Difficulty opening and closing doors. The exterior doors to your home may start to stick when you open or close them. You can probably see that the alignment is off when looking at the door and door jam. You will need to look at them carefully to see the reason for the sticking. Doors will also stick when opening and closing due to moisture in the wood. Look at the door as your opening and closing it to see if the alignment is off. Call in a foundation repair expert if you're seeing your doors out of alignment. Take a look at the counters in your kitchen and bathrooms. Counters that have started to pull away from the walls can be a sign of serious foundation issues. You may also see cracks starting to form in your counter tops. This can be a sign of not having proper support for them or it can mean serious foundation issues. Once you determine that your support is sufficient you may need to call in a foundation repair expert to do an inspection. 6. Windows that are out of alignment. Inspect your windows on a regular basis.Are the window sills pulling away from the wall? 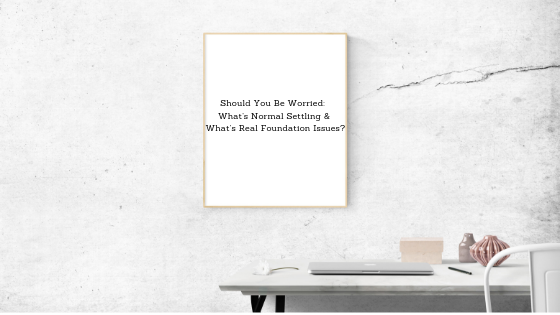 Maybe the windows will not open or close properly.The molding around the windows may also be starting to crack.Seeing these warning signs will mean you need to call in a foundation repair expert to determine whether or not you have serious foundation issues. It is a fact that all foundations will start to settle over time.You may see small cracks form in your walls and this is perfectly normal. Don't panic before you know whether there is anything to worry about.The first thing you need to do is inspect your home and look for any warning signs your home may have. After inspecting your home you can then determine whether you need to call in a foundation repair expert or whether you have normal settling.